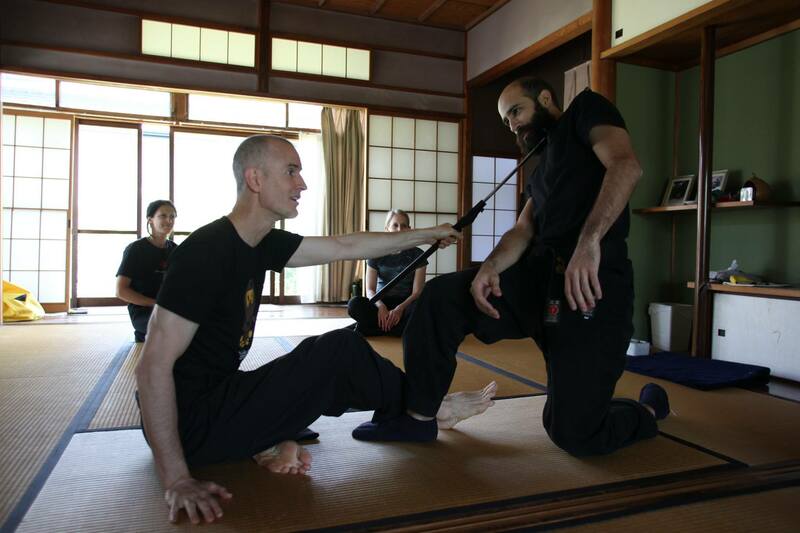 The Kasumi An Study center is directed by Paul Masse, a long term resident of Japan and practitioner of the Bujinkan Martial Arts. Kasumi An is dedicated to the study and practice of traditional Japanese arts. Primarily focusing on the traditional martial arts as taught by Grandmaster Hatsumi Masaaki of the Bujinkan. The Study center will feature lessons in Junan Taiso (strength and flexibility), Bujinkan martial movement, ink painting and other arts when available. We are also interested in hosting any teacher interested in sharing their art, in movement or discussion format. Please see the lesson schedule for times and dates. And feel free to contact us if you are interested in using the study center space or just coming for a visit. Was great to get to meet you in Japan last week. So sorry we missed your class. We will definitely make it a priority on our next trip. I passed along your email address to Shihan Prather as well. Much thanks again. I wish it were under better circumstances that I’m contacting you. I heard about your friend Matt and want to share some information that is likely to help. A while back I was researching cancer and found a trove of information from doctors in Europe who are successfully treating it (to their account because there is no financial interest in it there). They say there are only 3 types of cancer that can’t be cured in 16 weeks or less with diet changes alone. Cutting out everything unhealthy from the diet and adding lots of dark leafy greens, natural vitamin C and E and tumeric is the basic process they use to cure it. A friend of mine used a supplement called chlorrella to cure her friends mom’s cancer and swears by it. I presume loading a diet with chlorrella and the rest mentioned could have a very positive effect for Matt if not cure him all together. There is also a book by Suzanne Somers called Knockout, interviews with doctors who are curing cancer that could shed more light on it. If you search that in youtube you’ll likely find other videos from the European doctors. Best wishes to you and Matt, I hope that helps!